Just about the same time a study came out stating that, by and large, travelers preferred greener travel but didn’t want to pay a lot more for it, Slate published this very practical Q&A about how to choose flights on environmentally responsible airlines. 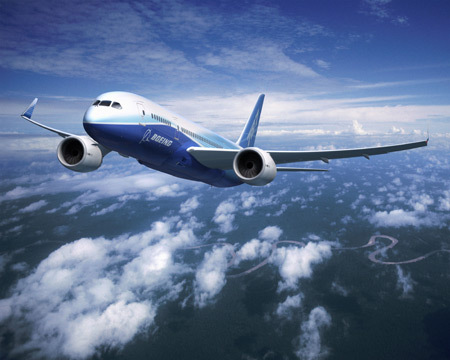 Look for carriers flying new jets and planes with raked wingtips, since both tend to offer improved energy efficiency. Check airlines on-time records, since fuel is wasted on planes idling before takeoff. The article is peppered with other interesting tidbits, including why the Boeing 787 Dreamliner might be the greenest plane to date. It’s great to see an article so packed with simple yet useful advice on how to differentiate among airlines. Many airlines list the plane types on their websites, though if you’re not a plane buff, it’s a little bit tricky to translate plane names into the necessary information. The Slate article suggests calling your preferred airline to ask, and that seems like pretty good advice to me.